I think it's great that my kids can have the same treats I did growing up, and I even still love me an ice pop every now and then! Just this past week I was sick, and spent some time at the doctor, and the Otter Pops came in handy for my recovery. 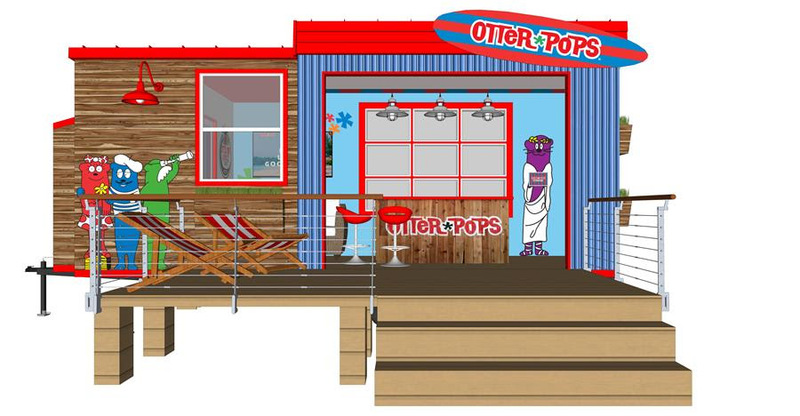 New from Otter Pops is Beach Breakers Sorbet Pops! Beach Breakers is a new take on the iconic pop, featuring a smooth sorbet texture and a more explosive flavor. Available in 20 count boxes, Beach Breakers come in Otter Pops six original flavors paired with classic characters including Sir Isaac Lime, Alexander the Grape, Poncho Punch, Strawberry Short Kook, Louie-Bloo Raspberry, and Little Orphan Orange. Each pop is only 40 calories, fat free, gluten free and kosher. 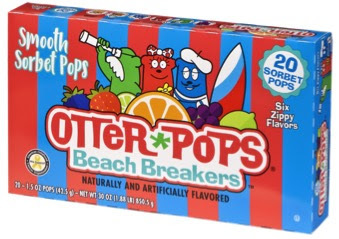 My favorite Beach Breakers pop is definitely the Poncho Punch, it's delicious! 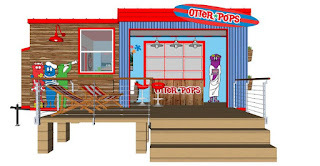 You can purchase Otter Pops in most grocery stores!